It was an emotional weekend in Wellington. There was the thrill of anticipation in the run-up to Saturday night’s clash between the Hurricanes and the Highlanders, then the emptiness of defeat as the Cake Tin emptied and thousands of yellow-clad rugby fans trudged home. But at Creative HQ a stone’s throw from Courtenay Place where smug-looking Highlanders fans began their victorious pub crawl, 40 or so people beavered away oblivious to the game’s outcome. They were involved in Startup Weekend – Science and Research, a weekend of frantic activity and creativity, that saw teams form on Friday night to work on science-related business ideas that had to be ready for pitching to a panel of high-powered judges on Sunday night. I was one of fifteen or so mentor over the weekend who hopped between the teams helping them tease out their ideas, validate them and develop their business cases. 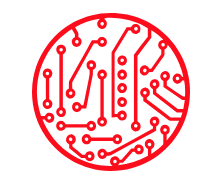 It was a blast and while Startup Weekend has been running for years and all over the world, this was the first local event to focus on science and research-related projects. I hope it is the first of many, as I was truly impressed at the way the teams grew over the course of 54 hours. It wasn’t so confident a start. I arrived early on Friday afternoon to talk to participants about their pitches which were officially given at 5pm on Friday night with the aim of building teams around the most promising ideas. 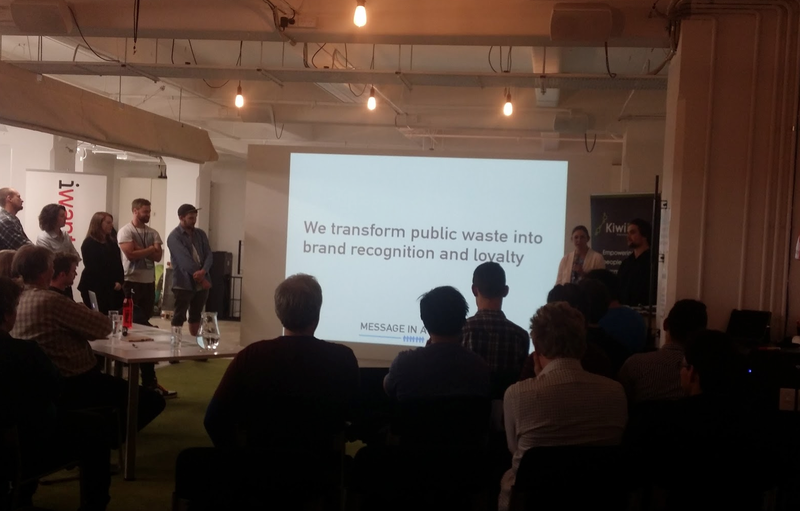 That 3pm pitch practice was an eye opener – ideas that on the face of it weren’t that original or tackling a particularly compelling problem, business plans with more holes than a sieve, rambling presentations. But that’s the whole point of Startup Weekend. You start with the germ of an idea and if a group of people buy into it and you, it takes shape over the next two days – or morphs into something else completely, which is what happened to several of the ideas floated on Friday afternoon. After working late into Friday night, the teams, ranging in size from three to nine people, had got to grips with the initial idea and decided whether to run with it or throw it out. 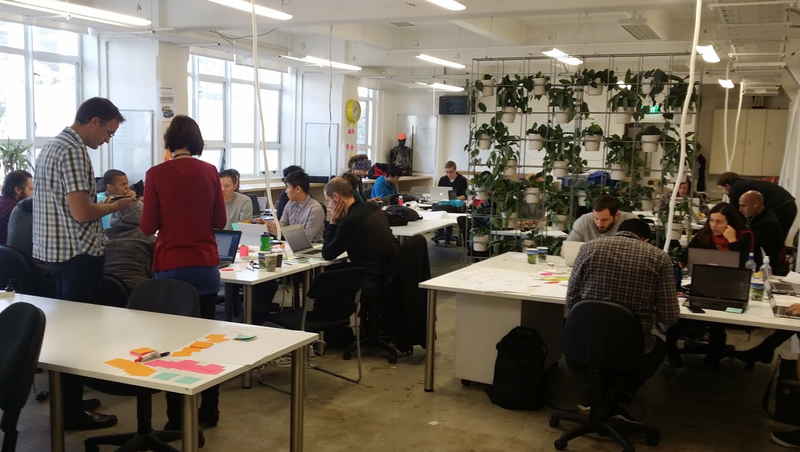 Of the six teams that went through Startup Weekend, four had pivoted by midday Saturday. It was great to see the teams finally close the book on an idea they had worked to death and move onto something more promising. We had one team working on a robotic window cleaner they envisaged would roam around the outside of a building on a computer-guided path, cleaning windows and doing away with abseiling window cleaners. But some market research (ie: a few Google searches) revealed that many other companies had already developed robotic window cleaners with mixed results. The various Youtube videos of bulky robots trying to navigate vertical surfaces and clean them at the same time was enough to convince the Squeegee Robot team that this was a tall ask indeed. For starters, you need a robot that can navigate all sorts of buildings, not just the nice smooth ones with plate glass all over. When the pivot came, I was surprised, but impressed. The team, largely made up of engineers and designers, threw out the concept of cleaning windows, instead focusing on developing a robot that would use sophisticated sensors to scan the external and internal structure of a building. It would still zoom around a building but would be suspended from a gantry system and wouldn’t need direct contact with the building surface to work effectively. Internally, the robot could simply move around the floor creating a 3D image of the room but also measuring the density and integrity of the walls and surrounding structures. With thousands of earthquake-prone buildings in New Zealand in need of regular checks and preparation for upgrading to meet the building code, the team had a strong potential market opportunity. Some more research suggested that thorough surveying of a building can take up to three months, involve a large team and cost as much as $200,000 so there seemed to be scope for doing things more efficiently. So Squeegee Robot became 3MASS and a much more promising proposition. Daniel, the electrical engineer who initially pitched on Friday night had initially wanted to develop a USB-powered hand warmer for video gamers living in cold Wellington flats. 1. Come into it with an idea you’ve thoroughly thought out and done some research on – there’s no point getting to Saturday morning and finding that someone else is already up and running and doing what you want to do. 2. Having said that, don’t be totally put off if others are already doing what you want to do. They may be doing it poorly and that industry may be ripe for disruption ie: the taxi industry and Uber. 3. Establish leadership in the team early, if its a large team, break it down into sub groups to work on different aspects of the problem. 4. Think about validation early – it can be hard to start from scratch on a weekend looking for experts to comment on the validity of your idea or its market potential. If you are an engineer, prime your engineering contacts that you may be in touch as you seek to validate the idea. Have some mobile numbers at the ready and be prepared to get as many views as possible – evidence of good valuation is an important part of the judging criteria. 5. Social enterprise is great, but the judges really want to see how this venture could be sustainable longterm. Don’t rely on sponsorship and grants, which are fickle. Show how you can generate revenue through literally getting organisations or people to buy into your idea. 6. Tell a story – the 5 minute pitch on Sunday night is all the judges see, not the journey the team has gone on. Make it a powerful, confident pitch. Paint a picture for us, use metaphor and analogy to get us engaged and able to picture where you want to take us. Keep the tech set-up simple so glitches don’t spoil your presentation. 7. Really focus on what you have to deliver (a five minute pitch) and what you will be judged on (validation, execution, business plan). Don’t get bogged down in extraneous detail. 8. Identify the strengths and skill sets of the mentors and pull them in when you need them for advice on specific aspects – leverage their contacts when you are seeking validation at short notice. 9. Do lots of pitch practice – amongst yourselves, in front of the mentors etc – get that pitch polished so the words roll off the tongue and you can focus on the presentation rather than remembering the content. 10. Get as much sleep as possible, drink lots of water and eat properly. Enjoy the experience! Startup teams hard at work on Sunday afternoon. Started out planning to make products from recycled plastics incorporating natural fibres like hemp. Was originally aiming at the high-end market for sustainable, funky looking products made with 3D printing. Quickly found out that there are plenty of players doing this well and that 3D printing wasn’t necessarily the answer. Pivoted to become a agency working with big corporates and plastics users who want to sponsor sustainability programmes. Message in a Bottle works with these companies, councils and waste management companies to collect plastic bottles in public places, have in processed and use that raw plastic to create plastic products that are at the centre of sustainability projects for the companies involved eg: a plastic park bench for an inner city park or sets of sports equipment for schools. The value add is that Message in a Bottle take care of the whole process, managing all the relationships and producing the goods at its own fabricating facility. Yes this team is relying on sponsorship money, but their market validation suggested there was strong appetite among companies to get involved and pay for it. A piece of software for stressed out academics writing research papers and wanting to check the formatting, grammar, sourcing and style of the journal they are seeking to submit it to. A number of apps on the market do this type of thing, but none does everything. With the validation exercise showing academics would be willing to pay $10 per paper to purchase everything Paper Preen was promising, it seemed there was strong appetite for a better way of doing things. The system reliesd on APIs that pull in dictionaries and database info from numerous sources so is more complex than it seems, but I think this team could pull it off and develop a decent little business in the process. The Squeegee Robot that became surveying bot. These guys had the most technically complex idea of the weekend and as such, it was hard to get a handle on whether they would be able to pull off their concept – which involves robotics, sensor technology and software. But New Zealand seems like a great test bed for such technology given our earthquake-prone building stock and push to upgrade buildings over the next decade. Lots of work to do here, but a high value industry to tap if they can pull it off. Another one that pivoted – from offering a crowdfunding platform for people seeking money for expensive, cutting-edge medical procedures to one crowd funding for the same thing but for pets. The ethical and legal issues around offering this service for people proved too complex, leading the team to focus on animals. Many platforms already do this, but Pet Share’s aim to leverage existing social media platforms, possibly as a Facebook app, meant it could tap pre-existing networks. This team came the furthest during the weekend – a great bunch of guys who were positive and hilarious throughout. A car sharing platform focused on electric cars. The idea is that Electric Share leases electric cars, such as the Nissan Leaf, then sub leases them to groups of people keen to share access to an electric car, paying an upfront fee and ongoing weekly payments for access. The big issue here was scheduling, which Electric Share planned to address with a nifty online scheduling tool and points system to ensure it was fair. But the overriding problem was that people would likely want to borrow the car at the same time – evenings and weekends, and without significant scale in the network, this would put off would-be investors. Still, car sharing schemes are common overseas, and City Hop existings in Auckland, so a scheme with electric cars isn’t out of the question. A major pivoter, switching from developing a children’s game to encourage healthier living to one focused on PhD students and their wellbeing. They were trying to address the issue of high drop-out rates among PhDs, but doing a weekly survey of wellbeing, with reporting back to supervisors. But how effective would it be and who would pay? The execution and validation questions weren’t properly fleshed out, but there could well be an opportunity here with some further development. 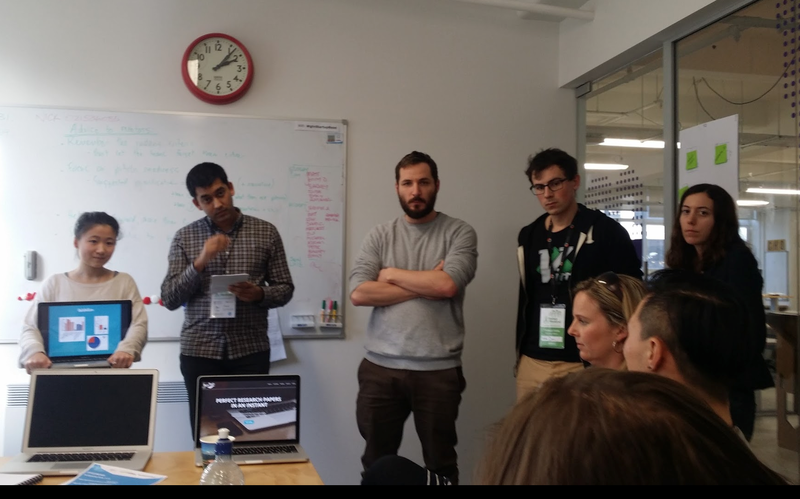 Well done to Stefan, Nick and the team at CreativeHQ for another great Startup weekend. I hope we see another science and research one next year. Thanks for a great wrap Peter. Would’ve loved to have been there myself…and now almost feel as if I were!